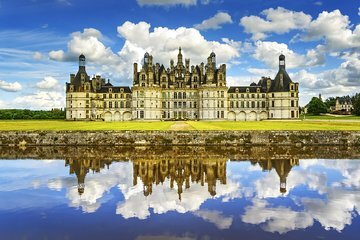 Passeie pelos castelos de Chenonceau, Chambord e Amboise nesta excursão de dia inteiro saindo de Paris até o Vale do Loire, patrimônio da UNESCO. Admire os incríveis jardins florais de Chenonceau e maravilhe-se com a grandeza de Chambord, o maior castelo no vale. Em Amboise, veja os aposentos do rei Francisco I e o túmulo de Leonardo Da Vinci. Aprenda com um guia informativo sobre cada site e se encaixe nas compras de lembranças ao longo do caminho. Esta excursão para pequenos grupos é limitada a apenas oito pessoas, garantindo atenção personalizada. Enjoyable day out of Paris to the beautiful Country side of the Loire Valley. The Castles and Castle grounds were fascinating. We had plenty of time to explore on each of our stops. Our Guide Annisy was very knowledgeable, personable and fun to be with. She gave us so much history of each Castle. This was a great tour! Our guide Nisa was super friendly, informative, and professional. The Chateau’s were beautiful and the weather was great! It was one of our favorite experiences of the trip. Excellent trip - we were lucky enough to be the only ones on this tour and our guide was amazing. So much fun and each chateau was beautiful. Highly recommend! Tour was excellent. Our guide was very well informed about the three Chateau's of the Loire Valley that we visited and was entertaining as well on the mini-van trip to and from the three Chateau's. An excellent tour from start to finish with comfortable transportation. Excellent lunch and wine tasting in Amboise, interesting sights along the route and an easy going schedule. A great tour. The three Chateaux visited were all different, but each was extremely interesting. Our guide was very knowledgeable and contributed considerably to our enjoyment of the tour. A great day out of Paris. This tour was amazing! The guide was very knowledgeable and a joy to spend the day with. The castles are worth the day trip and worth the money spent. I have taken a castle tour before which did not include Amboise but to Chiverny instead. Amboise made the tour better than expected. Both the town and the castle were amazing. My favorite has always been Cheneceaux and Chambord is a must see as well. I would recommend both this tour and our guide, Roger. Roger was very knowledgeable and friendly. We met our guide, Jean Paul near the Arc de Triomphe early in the morning. Jean Paul was very attentive and knowledgeable. Our first stop was the Château de Chambord in the Loire Valley. It was very big and grand. Next we traveled to Amboise to tour Château dAmboise. Amboise is a very cute village and it was fun to walk around the small shops. Our last stop was Château de Chenonceau, the most beautiful of all. Build over the river Cher the castle is very majestic. This trip is a must see!! 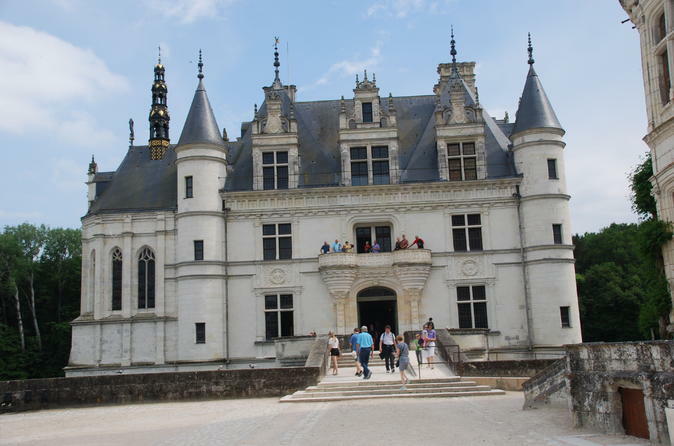 This was an amazing tour and perfect way to see the Loire Valley. The group was small enough such that our guide was able to allow us as much time as we wanted at the three castles. The van was comfortable and our guide was wonderful!